How time flies! 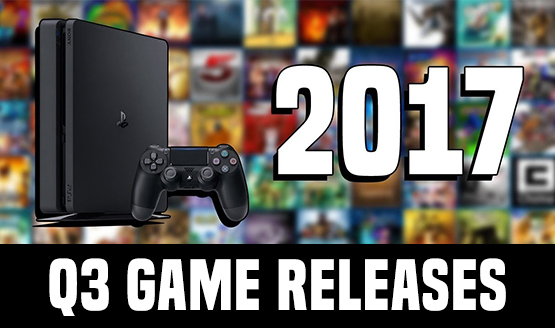 We’re already done with the first six months of 2017, and that means we’re close to the fall video game release barrage. There’s no denying that Q1 and Q2 of game releases for PlayStation platforms has been nothing short of excellent. Same as our quarterly confirmed games posts, we’re only showing games that have definite release dates for Q3. If a game is set for release “soon” or in “Q3” but has no definite date, then chances are, it’s not in the list. Don’t forget that there’s a chance that some of these games might suddenly be hit with delays, cancellations and other stuff, but as of June 30, 2017, this list is accurate. In case you don’t want to watch the video (and why wouldn’t you?) to see some of the upcoming games in action, you can also check it out in the gallery below.There is a chance we might have missed a game or two, but I think we got ’em all. While Q3 might be the slowest quarter for the year in terms of games released for the PS4, there’s still a gem or two there. It’s also a good time to maybe catch on your backlog before buying more games later this year, right? Need More HDD Space for Your PS4 Games? Here’s the 10 HDDs to Get Right Now! What’s Your Game of the Year 2017 Pick So Far?